Join global audiences in celebrating summer with free, live music! Join global audiences in celebrating the first day of summer with free, live music! What better way to usher in the summer months, than with free, live music? 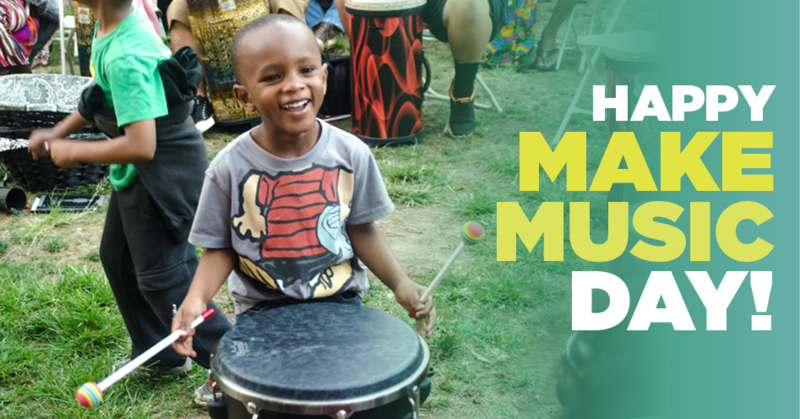 Today, on this first day of the summer, we get to enjoy more sunlight and more free, live music thanks to Make Music Day—a global celebration that encourages anyone and everyone to experience the power of music, free of charge. First launched in 1982 to enliven public spaces across France through free, live music, Make Music Day has grown into an international celebration of music making. This global phenomenon is now celebrated in more than 800 cities and 120 countries (and counting!). This joyous day celebrates the inner musician or music lover in all of us, encouraging people of all ages, backgrounds and professions to come together with their friends, family members and neighbors to enjoy live music happenings in their community. We’re thrilled to share that a number of Levitt stages are supporting this global musical movement, offering free live, music for their communities to enjoy today. Check out the links below for more information about the free Levitt concerts taking place this Make Music Day. Happy Make Music Day and welcome to summer 2019! This entry was posted in Beyond Levitt, Holidays on June 21, 2018 by Nicole McGaffey.